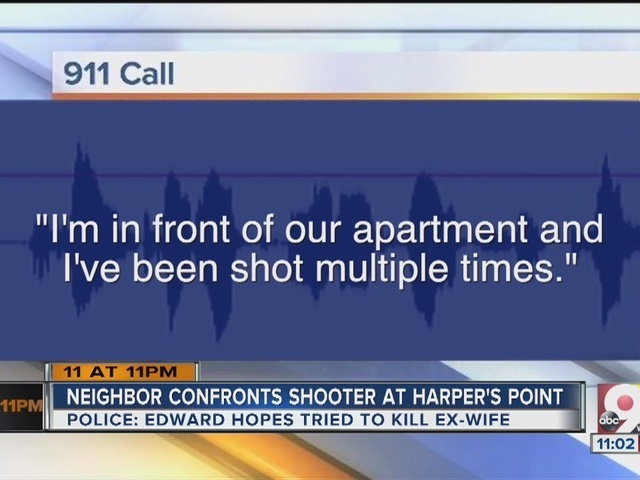 SYMMES TOWNSHIP, Ohio -- Nick Pavloff said he was lying down in his bedroom at the Harper's Point Apartments on Tuesday afternoon when he heard a noise and went to the window. Outside, a man with a gun was standing over a woman, Pavloff said. And he was shooting at her. "He's too irate to get a good shot," Pavloff said. "He's screaming and he's cussing and he's shooting, and some of them are hitting and some aren't. And she's just kind of looking around like, is anybody going to help?" What raced through Pavloff's mind, he said, was a choice: He could stand aside and watch that woman die, or he could do something. "I saw that and I'm like, if no one's going to do something, I'm not going to live the rest of my life knowing that happened," he said. Once Pavloff came out to help, he said the gunman ran off and disappeared behind a nearby bank. The woman asked Pavloff to get a towel to stop the bleeding, and another neighbor came out to help. In a call to 911, the woman said her name was Kristi Stem. She calmly explained the gunman was her ex-husband, Edward Hopes. Stem said she thought she'd been shot in her shoulder, hip and leg. As the operator tried to give medical instructions to the people with her, Stem asked them to check if her cat had gotten outside. "I'll be OK," she said. She was shot five times, Hamilton County Sheriff Jim Neil said, but she's expected to recover. A witness to the shooting said he thought he was watching an "execution." "He was either dragging or turning her over, and I actually was prepared to see the worst. I was prepared to see an execution or something," said David Bortz, who works nearby. "Thankfully he stopped what he was doing and put the gun in his back pocket and walked toward the bank." Bortz said he also warned others at work on the street. "Not only do I work here, but my family's jewelry store is right down here, so as I'm watching this whole thing unfold I'm on the phone with employees over there saying, 'Don't push the door open for anybody,'" he said. 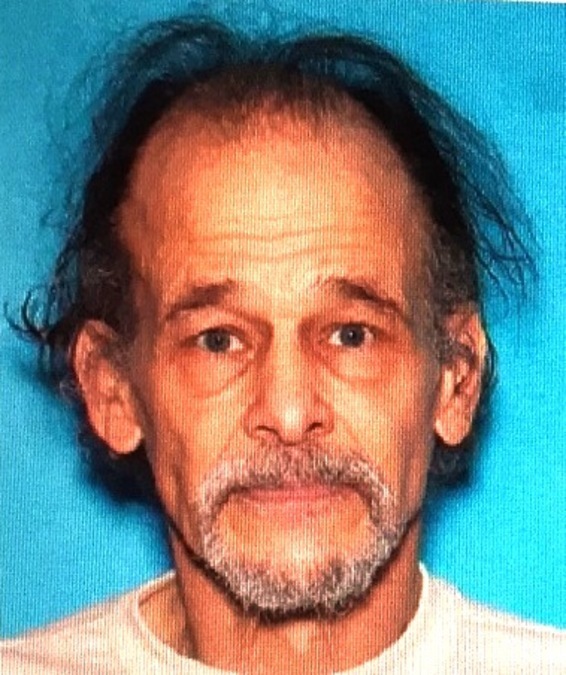 The Hamilton County Sheriff's Office asked for help locating Hopes, who was considered armed and dangerous. He eventually was arrested on Petersburg Road in Hebron, Kentucky, Neil's office said. Hopes is awaiting extradition to Hamilton County to face one count of attempted murder. Hopes, 60, is from Lancaster, Pennsylvania and has no ties to this area aside from his ex-wife, Neil said. 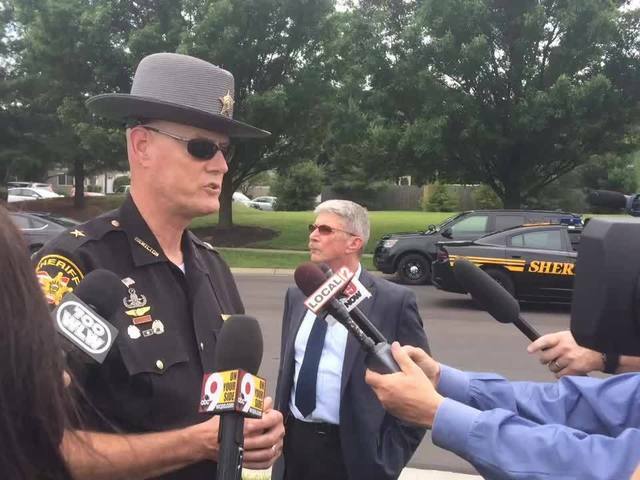 The suspect made threatening and suicidal comments to law enforcement, according to sheriff's spokesman Mike Robison. He would not elaborate. Cincinnati Hills Christian Academy was put on lockdown, a school spokesperson said. That included the high school, middle school and elementary school. There was no bank robbery next door to the apartments, Neil said, refuting some media reports. Several people told 911 emergency operators they believed Hopes had run into a nearby PNC Bank branch, but Pavloff said Hopes ran behind the bank.